Kick off your visit on the 11th (Thu): take in the dramatic natural features at Gantheaume Point and then enjoy the sand and surf at Cable Beach. On your second day here, get a dose of the wild on a nature and wildlife tour. Melbourne to Broome is an approximately 6-hour flight. You can also drive; or take a bus. 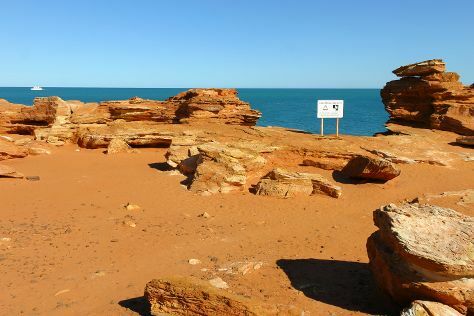 You'll gain 2 hours traveling from Melbourne to Broome due to the time zone difference. Plan for much hotter temperatures traveling from Melbourne in October, with highs in Broome at 39°C and lows at 28°C. Wrap up your sightseeing on the 12th (Fri) to allow time to travel to Margaret River. Kick off your visit on the 13th (Sat): Head underground at Lake Cave, then explore the fascinating underground world of Jewel Cave, and then enjoy the sea views from Cape Leeuwin Lighthouse. 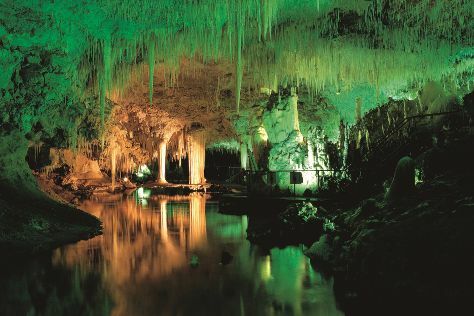 Keep things going the next day: enjoy the sand and surf at Cowaramup Bay, enjoy the sand and surf at Surfers Point, and then explore the fascinating underground world of Mammoth Cave. To find traveler tips, reviews, photos, and other tourist information, read Margaret River trip planning site . Traveling by combination of flight and bus from Broome to Margaret River takes 9 hours. Alternatively, you can drive; or do a combination of bus and train. Finish your sightseeing early on the 14th (Sun) so you can travel to Uluru-Kata Tjuta National Park. Start off your visit on the 15th (Mon): appreciate the views at Valley of the Winds and then explore the striking landscape at Kata Tjuta. Here are some ideas for day two: hike along Uluru Hiking Path, take in the exciting artwork at Walkatjara Art, get advice or help at Uluru-Kata Tjuta Cultural Centre, then stroll through Kuniya Walk, and finally explore the striking landscape at Uluru. To see traveler tips, photos, other places to visit, and tourist information, use the Uluru-Kata Tjuta National Park trip builder tool . Traveling by combination of bus and flight from Margaret River to Uluru-Kata Tjuta National Park takes 14 hours. Alternatively, you can drive. The time zone difference when traveling from Margaret River to Uluru-Kata Tjuta National Park is 1 hour. 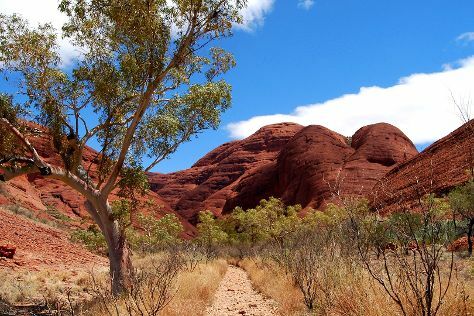 In October in Uluru-Kata Tjuta National Park, expect temperatures between 38°C during the day and 18°C at night. Finish up your sightseeing early on the 16th (Tue) so you can travel to Port Douglas. 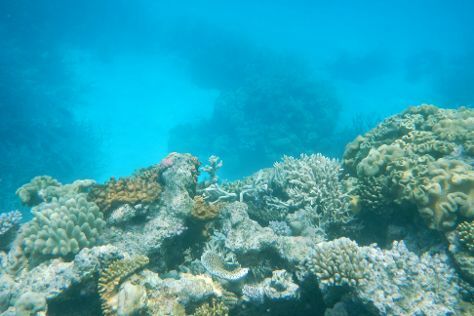 Kick off your visit on the 17th (Wed): see the vivid underwater world at Agincourt Reef and then look for all kinds of wild species at Mossman Gorge. Get ready for a full day of sightseeing on the next day: see some colorful creatures with a scuba or snorkeling tour. For photos, ratings, other places to visit, and more tourist information, refer to the Port Douglas holiday app . You can do a combination of flight and shuttle from Uluru-Kata Tjuta National Park to Port Douglas in 6 hours. Another option is to drive. Traveling from Uluru-Kata Tjuta National Park in October, you will find days in Port Douglas are little chillier (34°C), and nights are somewhat warmer (23°C). Finish your sightseeing early on the 18th (Thu) so you can drive to Cairns. We've included these beaches for you: Palm Cove Beach and Trinity Beach. Discover out-of-the-way places like Australian Butterfly Sanctuary and Botanical Gardens. Change things up with a short trip to Hartley's Crocodile Adventures in Palm Cove (about 44 minutes away). Spend the 19th (Fri) among aquatic life with a scuba or snorkeling tour. To find photos, traveler tips, more things to do, and tourist information, read Cairns trip planning tool . You can drive from Port Douglas to Cairns in 1.5 hours. Alternatively, you can take a shuttle; or do a combination of shuttle and bus. Expect a daytime high around 34°C in October, and nighttime lows around 24°C. Finish your sightseeing early on the 21st (Sun) to allow enough time to travel to Noosa. On the 22nd (Mon), explore the wealth of natural beauty at Noosa National Park. Here are some ideas for day two: enjoy the sand and surf at Mooloolaba Beach and then kick back and relax at Noosa Main Beach. To find reviews, other places to visit, traveler tips, and tourist information, read our Noosa trip tool . You can do a combination of flight, train, and bus from Cairns to Noosa in 7 hours. Alternatively, you can do a combination of flight and bus; or drive. 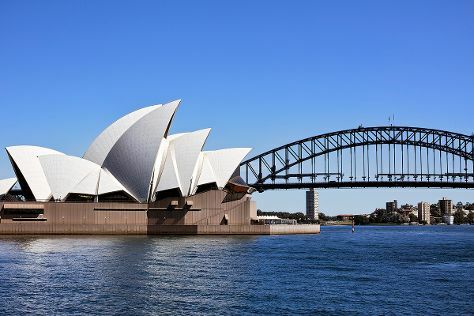 Finish your sightseeing early on the 23rd (Tue) to allow enough time to travel to Sydney. Visit Bondi Beach and Clovelly for some beach relaxation. Satisfy your inner culture vulture at Sydney Opera House and Darling Harbour. There's still lots to do: hike along Bondi to Coogee Beach Coastal Walk, stroll through The Opera House to the Botanic Gardens Walk, kick back and relax at Camp Cove, and wander the streets of The Rocks. To find reviews and more tourist information, read our Sydney holiday maker website . You can do a combination of bus and flight from Noosa to Sydney in 5.5 hours. Other options are to do a combination of bus, train, and flight; or drive. In October in Sydney, expect temperatures between 28°C during the day and 17°C at night. Cap off your sightseeing on the 26th (Fri) early enough to catch the train to Jervis Bay. Step off the beaten path and head to Bendalong Beach and Blenheim Beach. Escape the urban bustle at Callala Beach and Murrays Beach. There's more to do: kick back and relax at Greenfield Beach and stroll through Cabbage Beach. To see other places to visit, where to stay, ratings, and tourist information, read Jervis Bay trip itinerary builder site . Traveling by train from Sydney to Jervis Bay takes 4.5 hours. Alternatively, you can do a combination of train and bus; or take a bus. Traveling from Sydney in October, Jervis Bay is little chillier at night with lows of 12°C. Wrap up your sightseeing on the 29th (Mon) early enough to travel back home.